We were predicted to stay in the rain by the weather forecast. However, we did not give up from what we have already decided to do. In the early morning we arrived in Velingrad. We stayed with delight while seeing the sun ahead in the distance. It was shining and bright. So, there was no lack of dull moments because we immediately went on into the hot swimming pool. We felt the warm of the mineral water that drive us mad. It was not hard to be found we were impatient and hungry for something different. So, we meant another adventures. But we decided to wait for a while because of a promise we were given. In the time we had lunch our high-mountain guides were making the last preparation for having an extreme off road. So, we were not unprepared but charged to succeed. Suddenly, the sky became cloudy. At first there was not any cloud up to the sky but a few hours late a different situation went on. However, we had care of it. So, we pretended there were not any clouds up to the sky because of the need to be courage. We took the jeep and drove upon the steep mountain road through Rhodopi Mountain in search of a peak, called Sjutka. Describing or talking some kind of pictures by trying haw actually off road to be shown is almost impossible matter. It seemed to be a miracle for anyone to twist and turn between many trees coming against us. But we were hot highly imaginative enough to realise the beauty of such a situation at all. We missed many picturesque sights because of travelling by jeep. In such a moment it is not easy to be seen haw actually hard is to pass throughout the wood. 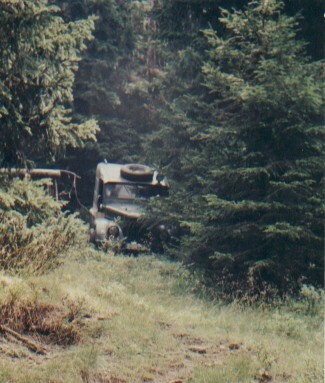 But the jeep was in good repair and we moved from one place to another very quickly even we felt sick. Travelling by jeep shook us up. Up ahead in the distance it seems you are not able to recognise a great number of mountain herbs, strawberries and immaculately beautiful mushrooms you have never seen there before. We stopped to rest for a while and we found out a mountain bivouac. We actually had to pour out some water for drinking. For our meals we have already chosen some yogurt, made of sheep milk. It was taken from Rhodopes Mountain. Then in our back we have heard the first thunder of fall down. We were greeted in the name of hospitality. We suddenly realised we were shown the wealth of the mountain. Before reaching the open country, called Furnite to break camp there, we had to outstrip the storm. But we have given a good chance by the nature because a strong wind began to blow against us and we saw haw the clouds were stopped. We suddenly saw a great number of clouds above the ridges, situated in front of our position. From sought where Greece is situated, the wind began to blow stronger. We couldn’t stay with delight anymore even we were shown the beauty of Rila Mountain. 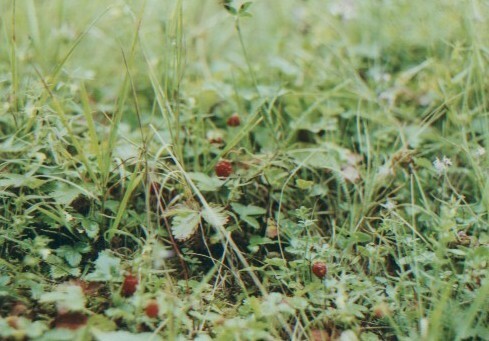 But we saw a lot of strawberries. We could not see a small one. However, we were still capable to hear the last one thunder fall down the ground away of our position. So, we had a breakfast and went up to a peak, called Malka Sjutka by biking. Up the peak we suddenly found out a beautiful mountain glade and felt the fragrance of wild thyme in the air. The magnificent feeling became stronger and stronger while we were wandering the lack of sin at this time of the day. We went down while we were biking by a steep mountain path towards an open country, called Port Artur. It was hard for us to bike because the mountain path was dug up. While we were trying to berry some mushrooms we lost ourselves in the wood but we very soon succeeded to call each other. How can you easily forget the great number of different mushrooms grown over the grass? Wherever we walked it seemed we were on a strawberry field. When the lunchtime arrived we reached a dam, called Goliam Beglik. There was a large tent made for us and we saw a grill there. Something delicious was preparing on it and we decided not to be impatient. So, we waited. But some of us were hungry as a ravenous and after they sat at the table there were no meals. The others went fishing. We meant not to leave the dam as we were staying with delight nearby the shores. In our imagination it seemed to be a high-mountain lake. But we were already told we would have many more adventures. Then we had to go on to the Sarnitsa village. We were biking by the high-mountain path when we felt tired. Then we suddenly stopped for a while and some of us went fishing because of seeing a great number of trout into the river. It took a lot of time before we decided to bike towards the village. How could you quit out such a place where you might be drawn with inspiration? It was still raining when we moved out and reached the village by biking not hand in hand of course. The night fell down and we found we were wet through, dirty and starved. But we already have some mushrooms and some trout. Fortunately we were given a reservation at a hotel we found there. There is nothing better than having a hot bath. Then you might stay with delight near the campfire. The morning came foggy, raining and unpleasant. Unfortunately we missed our tour upon the water by boating but for our compensation we had a long time for breakfast. We immediately intended this event by drinking coffee. When the fog was rising up to the sky the rain stopped and we moved towards Randja. We went up to Beslet and then towards Chifte Chark. After we had a noiseless biking we were rewarded for our efforts. We saw Kovatchevitza village in the middle of a bright valley. It is not necessary for Kovatchevitza village to be described. It must to be shown. We took the bikes into the jeep and return to Beslet. By reaching the place we stopped for a while. There was a rocky phenomenon, called Kozata skala. By using a map for our guidance we chose an open country, called Gorba ("The grave"). It was a strange decision for searching it. Finally, we twice missed to found out the path we had searched. It was necessary to push on the jeep. Then we met some gipsy men and asked them for assistance. They could not tell anything and we refused to go on. We had to spend the night at tents nearby the river but we were caught in a trap by the storm. It was necessary for us to escape from this place and we went on Sarnitza inn. We went bed and prayed if the rain was stopped. But it was not. It rained all the night then stopped for a while and in the morning began to fall again. We felt no pleasure when we understood the situation we were captured. It was lack of luck. We already missed our chance to go fishing here at all. Having a sunbath was more than senseless. So, we decided to return towards Velingrad. We moved back the luggage into the jeep and drove on towards the town instead of the storm. It was pouring with rain. Lately, we changed our route and turned off the road towards Goliam Beglik dam. We hope to go fishing there but soon we realised we wouldn’t. While we were riving from Karatepe to Goliam Beglik dam, we were impressed by another change of the weather. It wasn’t raining within the mountain at all. It was even sunny and quiet. 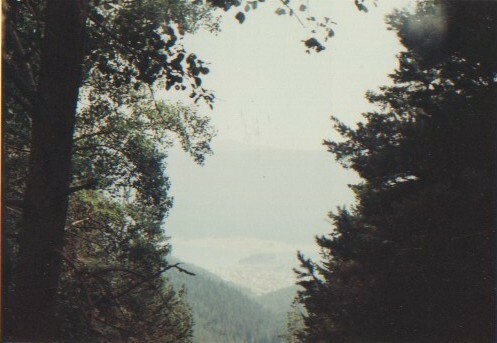 There was a shady wood divided by a mountain path. Here we found the great number of mushrooms grown over the grass all-round. A few minutes later we came across a bivouac made in the wood. Many children with blond fair hairs were playing al-round and we were directed by them which path to follow on. It happened before reaching the ridge. We went down as we were biking upon many bright meadows covered up with some strawberries and some mushrooms. Our intention was to reach the Valley of Ribna River. By reaching the river we understood the reason why it was given such a name (eng. "Stocked with fish"). Having a look at the water we saw a great number of trout. 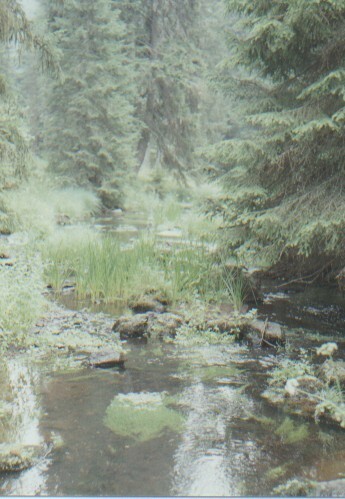 But obviously the trout also saw us and swam with wild. We felt no pleasure with this and refused to go fishing. It was more than senseless. So we biked on the valley towards the dam. By reaching it we were caught in the rain. After having an ardent debate, we decided not to stay here but to return towards Velingrad. So, we drove away upon the mountain path and stopped nearby Toshkov chark dam. A few minutes later after we turned off the road, the rain suddenly stopped. Even the sun rose above. We took our bikes and road towards the bright valley of the river. We are not allowed to go fishing at Toshkov chark dam and so we enjoyed the river. We also haven’t missed the great number of strawberries al-round. We wished if we could stay at tents here. But it was not a good idea at this time to stay at tents and we deeply realised it. So, we withdraw the jeep upon the macadam road and on arriving there we were caught in the rain again. It seemed to be another Kingdom of Darkness that was arisen here. We couldn’t see in front of us because of pouring rain. Information was received about natural calamity in the town. We wandered what actually to do about our preparation because we were travelling by jeep. 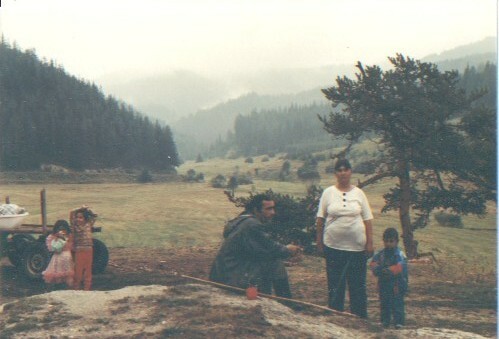 The road towards Sarnitza village was disconnected and many people were evacuated from Velingrad. We came by another road and couldn’t see the threat. By reaching Cigov chark camping village we stopped for having a cup of coffee. It was not raining here. Soon, we realised the luck would be no longer with us. We were caught in the rain and run back into the jeep. However, we were travelling towards Velingrad instead of pouring rain. It seemed there was a wall coming against us. It was made of water that fell down from the dark sky. There was a limitation because in front of us we couldn’t see anythi ng, even by using the headlights of our jeep. A whole river was made in the road and gradually became deeper and deeper. There were many cars coming against us. Up ahead, maybe?! In our imagination the town of Velingrad seemed to be more luxurious because of the desire to escape this calamity. Entering in the town we met a great number of cars and buses. Instead of waiting behind such a great number of vehicles, we bravely waded into enormous wave made of pouring water. The water level was ascending quickly. A breaker swept over the engine. We were afraid if it would stop. But fortunately it was in good repair. So, we quickly moved back and kept alert. Many tunes of sirens sounded all-round. We did not want to give up. So, we choose another road because we were hopping there would be least of pouring water. However, the river forestalled us. The water passed over the bridge and for a moment we felt we were in trouble. A police officer stopped us. Answering to our asking for assistance he insisted to turn back our route. There was cargo traffic at this moment coming against us and we saw the famous armoured vehicles, charged by Boiko Borisov (the main secretary of the ministry of interior). Estimating the situating down below, we took our decision not to stay on a low plain. 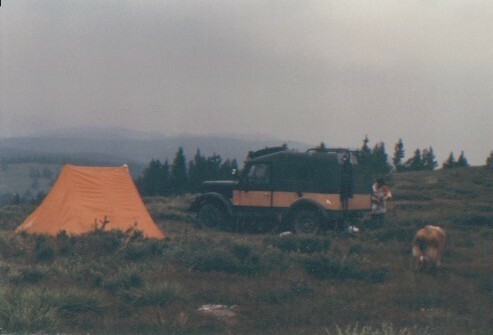 We made break through passing by the pouring water and finally reached to "Bor" camping. 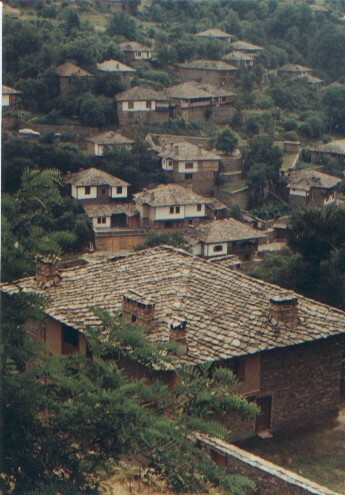 It is situated above Rakitovo village. Fortunately sleeping accommodation at the camping provided us. We stayed with delight after having a hot bath. We were pleased to stay at warm rooms. The feeling was strong.